Mental health is a key component in wellness. Empirical studies have shown that people with good mental and emotional health heal faster after illness or surgery and live longer, happier lives. 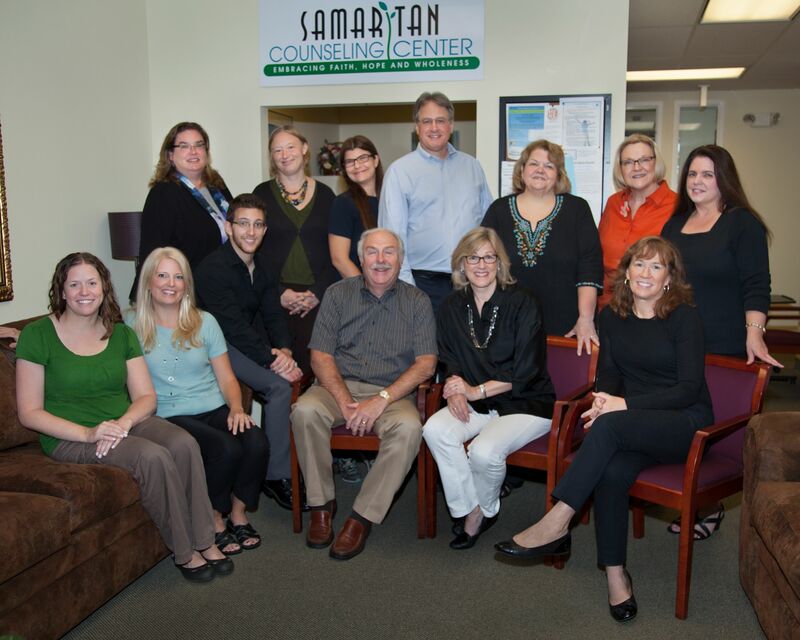 Samaritan Counseling Center of the Northwest Suburbs partners with clients to restore a sense of well-being and wholeness. The clinical staff provides hope, help and healing through professional counseling for individuals, couples and families using evidence-based therapies and effective skill-building techniques. Focusing on clients’ strengths, therapists address each person’s unique challenges by developing a holistic treatment plan with achievable goals and positive outcomes. Samaritan counselors also provide community education in Mental Health First Aid that trains participants to spot and respond appropriately to a mental health crisis as one would to a heart attack, and QPR, Question, Persuade and Refer that provides simple, effective strategies to help a friend who may be contemplating suicide. 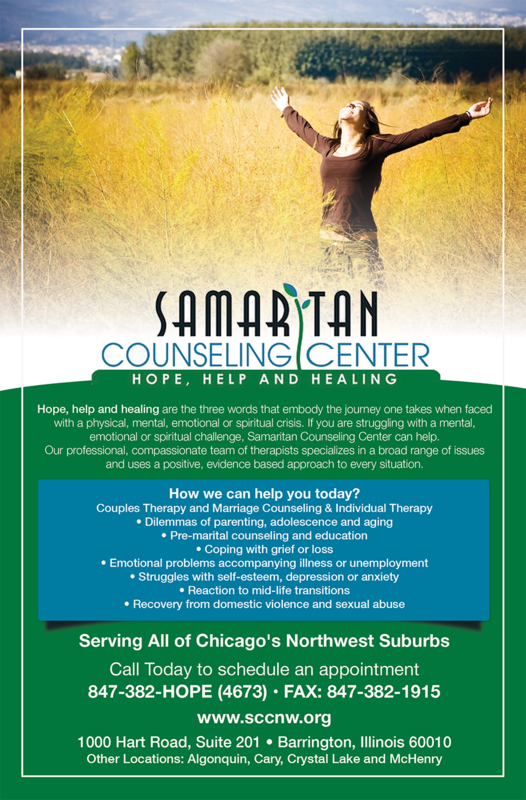 If you or someone you know is struggling with a mental, emotional or spiritual challenge, Samaritan Counseling Center of the Northwest Suburbs can help. Fourteen therapists specialize in a range of issues including anxiety, depression, trauma, abuse, grief, addictions, bi-polar disorder, self-harm, suicidal tendencies, difficult life transitions, marital and divorce issues, gender and sexual identity, parenting issues, spiritual crises, and work related stress. Clients are seen in Barrington, Algonquin, Crystal Lake and McHenry locations. Call 847-382-HOPE, ext. 316 to make an appointment.